Leon Black mastered the art of raising capital. His successors don’t want to. It was a classic Apollo play, at first. When Marc Rowan, Jim Zelter, and Jim Belardi led a team that began buying annuities from troubled insurance companies in 2009, they snapped them up at half their book value. Apollo Global Management had the field to itself. With interest rates at record lows, insurance companies could no longer earn enough to support the generous terms they had offered to win over consumers before the financial crisis. Deals like these made the firm famous for private equity and its founders billionaires. But in the past six years, Apollo has quietly transformed itself, building a credit business three times as large as its private equity division and powered by an insurance start-up. That company, Athene, now generates half of Apollo’s revenue and is rewriting the rules of Wall Street. In the spring of 2017, for example, Apollo approached Rod Martin, CEO of Voya Financial, with an idea. Voya held billions in fixed and variable annuities — contracts that either guarantee a rate of return over a certain period of time or pay pension-style checks for life — even though it no longer sold the products. Although Athene, which Apollo funded in 2009, had created a model for taking on fixed annuities, few insurance companies had found buyers for the more volatile variable-annuity business. Rowan, Belardi, and Zelter saw an opportunity in being nearly alone on that side of market, facing motivated sellers. If they came up with a solution, Athene could get billions of dollars of Voya’s fixed annuities included in the deal. Zelter — who was chief investment officer of Citigroup Alternative Investments before being hired to build Apollo’s credit business from scratch in 2006 — and his colleagues spent months designing a structure that would work. By December they had a deal. The companies announced that Apollo and two other private equity firms would capitalize a privately held insurance company called Venerable to house the variable annuities. When Voya announced the sale of the annuities, its stock price went up 11 percent. Martin could now move freely to expand into less capital-intensive businesses like investment management. When the Voya deal closed this month, Athene’s invested assets reached $100 billion. “What sealed the Voya deal was being responsive to their need to sell their fixed as well as their variable annuities. That was critical,” notes Zelter, a leveraged-finance veteran and Apollo’s co-president. 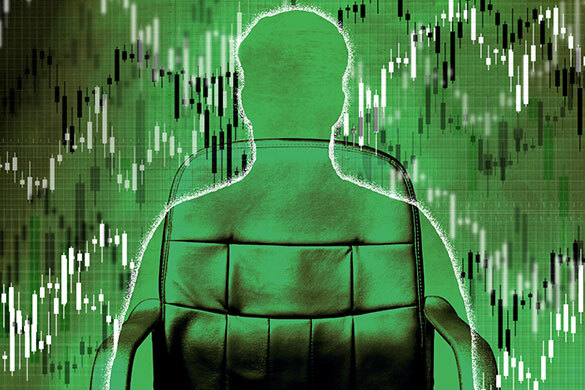 He likes to say that he essentially got his MBA on Goldman Sachs’s high-yield desk, working with now-famed hedge fund managers David Tepper and Jonathan Kolatch in the early days of the market. “We got $19 billion of fixed annuities,” says Athene CEO Belardi. “This will be the prototype for additional transactions. All these companies have variable-annuity problems. We got a lot of calls after we announced Voya. We’re perfectly positioned to take advantage of the restructuring going on in the insurance industry, and that is only going to accelerate.” Belardi should know. He was the righthand man to Eli Broad, who built SunAmerica and led it to become the best-performing stock of the 1990s, then sold it to AIG in 1998. The Athene deal was part of the firm’s broader move into credit after the financial crisis. Private equity firms, including Apollo, were eager to step into the void left when new regulations led banks to pull back from lending after 2008. Apollo went from having almost nothing in credit to $165 billion as of March, making it one of the sector’s largest investors. It offers the gamut, from liquid performing credit to asset-backed securities and structured credit backed by corporate loans, residential mortgages, and commercial real estate. Athene made its first acquisition in 2009, and two years later picked up two blocks of fixed annuities from Liberty Life Insurance and Investors Insurance Corp. In 2012 it acquired Aviva’s U.S. business, which made Athene — and thus Apollo — a meaningful annuities player and brought its assets to $60 billion. In 2016, Athene went public. Apollo wasn’t cashing out on its offspring; it held on to an ownership stake and a strategic partnership with the insurance firm. Apollo was among the first to see the opportunity in insurance, buying blocks of business when sellers were desperate and no one wanted to touch that business. Few wanted to deal with the complex and highly regulated portfolios, primarily composed of fixed-income instruments. The insurance strategy was a move true to form: Apollo, whose private equity funds have generated a 25 percent net internal rate of return since inception, is legendary for buying troubled properties when everyone else is running in the opposite direction. The insurance partnership gave Apollo so-called permanent capital, which generates a lower but steady stream of fees compared with the revenue from private equity, which is higher but less predictable. For example, Apollo, which went public in 2011, generated a wave of profits between 2013 and 2015 when Apollo Founder Leon Black said, “We’re selling everything that’s not nailed down.” But then it was over for a while. Permanent capital — or very long-term capital, like insurance assets — is generally valued at a higher multiple than other forms. At the same time, Apollo could leverage a stable base — a guaranteed buyer, Athene, of its investment services — to develop new products that it would ultimately offer to external clients. “They were so far ahead in creating and capitalizing this business, when almost no one else realized the power of it, both for Athene shareholders and Apollo shareholders,” says Jody LaNasa, an early investor in Athene and founder of Serengeti Asset Management. Athene is a poster child for the complexity and illiquidity that Apollo loves, even though insurance, as Belardi always points out, is a simple spread-based business: Make more than you’re paying out. Athene, which represents the majority of Apollo’s permanent capital, has reshaped the firm. For the 12 months through the end of March, permanent capital generated $505 million in fee-related revenue, which is 41 percent of the firm’s total. Since 2010, Apollo has grown this segment at a 45 percent compound annual growth rate. The market expects Apollo to earn 30 to 40 basis points on Athene’s assets and 10 to 20 on those in Europe. Apollo beats its peers in share of permanent capital, which can be held in business development companies and real estate investment trusts, among other structures. The Carlyle Group has 4 percent, Blackstone has 13 percent, and Ares Management has 16 percent, according to investment bank KBW. It’s hard to argue with the logic of pursuing permanent capital, at least from a manager’s point of view. It means that the firm doesn’t have to go out and raise money very often. The better question is why it took the industry so long to go after permanent capital. Private equity firms have historically raised funds every five or so years, most with about a ten-year life span. Fundraising is expensive and draining, particularly if recent performance numbers aren’t stellar. Critics have raised issues about Apollo’s relationship with Athene. Athene Asset Management, which is owned by Apollo, earns a fee for managing all of Athene’s general account. 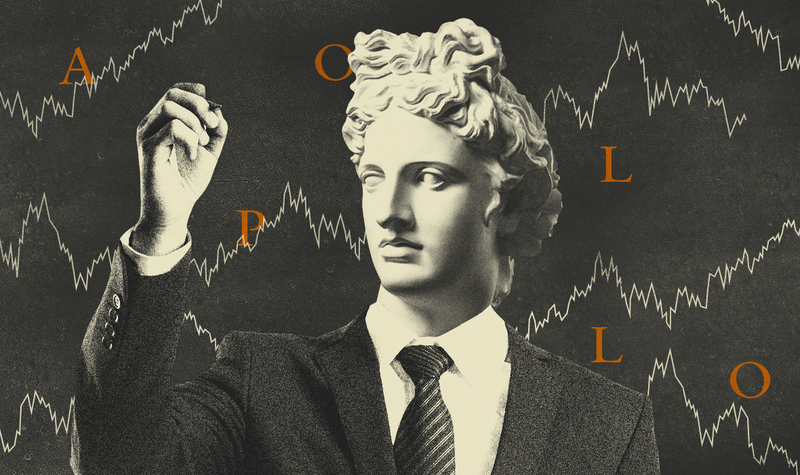 Apollo then earns additional subadvisory fees for the 23 percent of the general account that is invested in Apollo’s funds, such as collateralized loan obligations. Apollo also benefits when it originates loans packaged inside the CLOs. As Athene has grown, Apollo has lowered its fees. Athene Asset Management now collects 40 basis points on the first $66 billion it runs and discounts to 30 basis points on everything above that. For the subadvised funds, it charges 35 to 40 basis points. Athene Asset Management determines the mix of investments, and Athene Holding has a dedicated conflict committee made up of independent directors. Analysts and other industry watchers still consistently question the relationship. “No one will take orders from Apollo, and they’ve been smart to leave us to manage the business,” says Belardi. According to these analysts, Athene’s stock price is lower than it otherwise would be because of the perception of conflicts. With managers circling insurance companies, the industry is about to get a makeover. Insurers that started fresh after the financial crisis — without mistakes on their balance sheets, and with more-aggressive investment strategies — are competing against traditional companies. If a company like Athene manages its liabilities better, that means consumers either get fewer benefits or pay more for policies. Athene has recently started buying the liabilities of corporate pensions — that is, agreeing to pay a company’s workers their promised checks for life in exchange for a lump sum from the employer, which is willing to pay, often handsomely, to get the pension liabilities off of its books. This puts Athene in direct competition with blue-chip insurers like Prudential Financial and MetLife, which have dominated the space. Permanent capital isn’t a new concept. Berkshire Hathaway’s Warren Buffett relies on it, of course. And institutional investors themselves leverage it. In a mirror image of Apollo’s effort, many sovereign wealth funds, major family offices, and Canadian pension plans have bypassed external money managers and hired in-house staff to invest their billions. Pensions such as the Ontario Teachers’ Pension Plan have long generated outsize returns, in part because their private equity or infrastructure groups can rely on having the same pool of capital to invest year after year. They can ride out market downturns or hold on to companies longer than they would if they were part of a commercial private equity fund, which has to give clients their money back at some point — regardless of market timing. With these pension funds their members and taxpayers benefit. With Apollo it’s the manager reaping the monetary rewards. They aren’t alone in making money, of course. The large private equity players, Apollo among them, became the new power brokers of finance after the financial crisis and the regulations that followed forced banks to step back from proprietary trading and lending. Yet the roots of this success started nearly 50 years before, when private equity wasn’t even a term. In 1976, Jerome Kohlberg, Henry Kravis, and his cousin George Roberts, all of whom learned their craft at Bear Stearns, formed KKR, one of the first private equity firms. Two years later, KKR invested in its first Fortune 500 company, long-forgotten Houdaille Industries. Though the deal didn’t work out as expected, it was a harbinger of things to come: KKR put up only one three-hundredth of the total purchase price, borrowing the rest. That kind of borrowing set the stage for Drexel Burnham Lambert and the junk bond. But KKR, Forstmann Little, and others didn’t get rich off good deal-making alone. They were also lucky. Institutional investors were just beginning to shift their conservative portfolios into alternative-asset classes, looking for richer returns to meet their obligations to retirees. That trend would move into high gear in the early 2000s, powering another sea change for the industry. Private equity firms had part of the answer. They used innovative financing options to buy undervalued companies and then revamp them. The high-yield junk bond, invented by Drexel’s Michael Milken, became the fuel private equity needed to upend the traditional culture and mechanics of Wall Street at the time and, arguably, even more so since 2008. In the late 1980s leveraged buyouts entered the mainstream public’s imagination. After a feverish battle, KKR, which Black financed, took over RJR Nabisco in the largest deal ever at the time. Everything almost unraveled in 1989 and 1990 as Drexel pleaded guilty to insider trading charges, Michael Milken was indicted, and the firm went bankrupt. But having Drexel on a résumé didn’t hurt. Executives fanned out, rebuilding and reinventing the industry. Upstart Donaldson, Lufkin & Jenrette quickly picked up where Drexel had left off, becoming the No. 1 leveraged-finance player in the ’90s. Black, the head of mergers and acquisitions at Drexel, which financed three quarters of the famous buyouts in the ’80s, got a cold call in 1990, amid a global recession, from Crédit Lyonnais asking him to help it build an M&A advisory business. Black didn’t like the terms and turned down the proposal, convincing the bank instead to make an $800 million investment in a new firm that he, Rowan, and Josh Harris would help run, taking stakes in troubled companies. They took a Drexel-like approach to the business, very different from those of competitors like Blackstone and the Carlyle Group. Apollo didn’t home in just on undervalued companied that could be fixed up; it also focused on doing distressed buyouts and managing credit portfolios. Apollo’s superpower is still an intimate knowledge of debt and a stomach for making deals during downturns when no one else is willing. In its first year, Apollo bought, on the cheap, a large portfolio of high-yield debt that belonged to insurance company Executive Life — a trade that put the firm on the map. The deal still fires up critics of Apollo’s newest foray into insurance, as Executive Life had gone under in the first place because of a decline in the value of junk bonds sold to it by Drexel. By 1997 leveraged finance was at its highest level ever. The process of lending to blemished companies and restructuring them was reigniting sectors of the economy, like telecommunications. This would set the stage for the dotcom boom. After the 2000 market crash, buyouts ground to a halt as the industry dealt with companies caught in the collapse. But a few years later, a combination of low interest rates, loosened lending standards, and institutions flooding the sector fueled an extraordinary period of megafundraising and megadeals. Institutions were trying to mimic David Swensen, the chief investment officer of Yale University, who posted outsize returns with a huge allocation to alternative investments. In 2007 and 2008, with pension plans, endowments, powerful sovereign wealth funds, and other institutions as clients, Apollo, Blackstone, KKR, and others thought it was time for the private equity industry to go public. But everyone also knew the euphoria would end sooner or later. Behind the scenes the private equity titans were planning their expansions into areas like real estate, infrastructure, and especially credit, whose relative stability is always in demand during a downturn. After the crisis the credit businesses benefited from one of the biggest transformations ever of Wall Street. On a Saturday morning in March 2008, Apollo executives gathered in a conference room at the firm’s iconic 57th Street headquarters in Manhattan. It was the beginning of the financial crisis, and the big banks wanted to get $500 billion of loans they had committed to finance all those leveraged buyouts off their books. That weekend, Apollo brought in people from throughout the firm to evaluate 40 bank and bridge loans for LBOs that Citigroup wanted to sell quickly and in bulk. With the purchase of the $30 billion portfolio — not all 40 names were in there — Apollo instantly had a senior loan business with 35 people. The portfolio included debt from Lynondell Basell, a chemicals company that Apollo would ultimately make $10 billion on, the most profitable private equity deal ever. “We took a trade and made it into an asset management platform,” says Zelter. But Apollo, like others buying these loans at the time, also wanted seller financing as part of the package, just as in a typical private equity buyout. Apollo put up part of the cost and borrowed the rest. It was a strategy that later informed the Athene trade. “If you had long-term financing, you could create a business out of it,” explains Zelter. Apollo, GSO Capital, TPG, and others bought billions of the so-called hung bridge loans from banks, including Deutsche Bank, Goldman Sachs, and JPMorgan Chase, over the following months. “The carnage the financial crisis created drove home the need for long-term capital. If you had short-term, you got killed. To make money in the long term, you can’t be a forced seller,” says Joe Moroney, now co-head of global performing credit, who joined in September. “You still like these things?” Black asked him. Zelter — who learned how to survive in the “rough and tumble” of work while spending four summers during college doing physical labor in the Alaskan fishing industry — got his chance to test whether he had the stomach for investing amid chaos. “Black was the visionary who led the view that this is when the sun is shining for us,” Zelter says. The numbers bear that out: Approximately 40 percent of the firm’s money has been invested during down cycles. No one has to be nice during a downturn. Moroney, who spent years at Aladdin Capital and Merrill Lynch Investment Managers before joining Apollo, says the firm has a reputation for aggressiveness. “Marc Rowan has a sign in his office: ‘We’re from Apollo, and we’re here to help.’ Usually, when you’re coming to ask Apollo for help, it’s going to cost you something,” Moroney says. In the case of Jim Belardi, however, Apollo came offering. “If you do what we expect, we’ll be good for multiples of additional capital above the $400 million you’re asking for,” Rowan told Belardi, an insurance star who was, with a partner, seeking start-up capital for a new kind of insurance business. It was March 2009, markets were stabilizing, and the loan portfolios had stopped declining. At SunAmerica, Belardi had become one of the best at creating what’s called net investment spread, simply making more on assets than is paid out on liabilities. Though it sounds simple, the insurance industry was in trouble because it wasn’t doing that. By July, Apollo had funded Athene through a complicated strategic transaction with one of Apollo’s closed-end funds trading in Europe. Part of the strategy was to outsource asset management and separate it from the insurance side — essentially, the people worrying about the liabilities. Apollo would be the one subadvisor. Athene would get its extra yield by investing in alternatives, including structured securities that offer more yield because of their complexity and illiquidity. “They are great managers,” says Belardi. “Apollo is the best CLO manager in the world. Why would I use anybody else?” He was building the company based on what he and his co-founder had learned at the wildly successful SunAmerica. “We couldn’t mirror that. I mean the price went up 213 times,” he notes. They improved on the SunAmerica model by founding Athene in lower-tax Bermuda, avoiding variable annuities, which companies are exiting because of the tail risk, and offering reinsurance. Apollo doubled its credit assets under management by buying Stone Tower Capital, which also had hedge funds, in 2012; it also acquired Gulf Stream, a CLO firm. Then it went after origination. In 2013, Apollo, originally through Athene, bought a loan origination business called MidCap Financial. “Rather than relying on people showing opportunities to you, go find your own opportunities. That’s where MidCap came in,” says Moroney. Moroney says his part of the business is facing only one headwind: tough markets. “If you are a dispassionate observer of CLOs, you look at deals, and they aren’t that good. We want every deal to be good,” he explains. Athene went public in December 2016, but not because it needed the money. It wanted to be public for the transparency and to get better ratings, which are essential for insurance companies. Ratings agencies prefer companies that have access to the public markets for capital. Apollo’s success in the insurance market has enticed a long list of copycats. But the competition has made it harder for everybody, including Apollo. Still, people in the industry are confident firms like Blackstone and KKR will crack it. With partner Fidelity National Finance, Blackstone recently acquired annuities provider Fidelity & Guaranty Life and hired Chris Blunt, the former head of New York Life’s investment arm, to build an insurance business under Bennett Goodman, head of GSO Capital Partners. After helping build the No. 1 leveraged-finance business on Wall Street at Donaldson, Lufkin & Jenrette, Goodman co-founded alternative-credit firm GSO. He and his partners sold it to Blackstone ten years ago. If Apollo is ahead in insurance, Goodman has the first-mover advantage in credit. And credit is the backbone of insurance. GSO now manages $140 billion, about a quarter of Blackstone’s total. Blackstone CEO Stephen Schwarzman says he wants to build a $100 billion insurance business. KKR is also exploring ways to expand its insurance effort, according to several sources. Suzanne Donohoe, head of the client and partner group, says the firm has already grown assets that are managed for external insurance companies, to $20 billion. Insurance companies once had little exposure to alternatives, but as yields have fallen on fixed-income, that’s changed. Firms like KKR now offer products that are appealing to the sector, including private debt, an asset class that emerged only after the financial crisis, and real estate, infrastructure, and private equity. For the same credit risk, private debt has a significant yield premium over public. Donohoe declined to comment on the firm’s plans in the sector. Insurance is also attracting hedge funds. Paul Singer’s Elliott Management, which took a stake in reinsurance firm Aeolus Capital in 2016, recently said it would acquire Prosperity Life Insurance Group. There is plenty of room for competitors. Insurance is one of the biggest markets in the world, at $23 trillion in assets. Even 1 percent of that would amount to $230 billion. Apollo isn’t sitting still. With the European insurance industry today looking a lot like the U.S. market did in 2010 and 2011, Apollo is investing heavily in Athora, its Athene counterpart for the region. Zelter — who became co-president of Apollo earlier this year, in addition to his role as CIO of credit — says he’s optimistic that having a solution for firms stuck with variable annuities will mean buying fixed annuities at a discount. Venerable could also work for other types of insurance, including long-term care, down the road. Insurance lacks the glamor that the KKRs of the world evoke. Zelter even brags about being boring. “You wouldn’t think this about Apollo, but the majority of our assets yield less than 10 percent,” Zelter says. Even so, the market hasn’t rewarded Apollo’s ability to generate increased fee-related earnings with Athene. Apollo’s stock is trading at a much smaller multiple of earnings than that of traditional managers like BlackRock. Rob Lee, who is responsible for asset management coverage at KBW, says all the alternatives firms want to grow the amount of sticky assets they manage because fee-related earnings are stable and highly valued by investors. But he doubts any of them want to grow insurance and permanent capital vehicles at the expense of private equity and other funds that charge lucrative performance fees. A performance fee, after all, is a 20 percent or higher cut of profits that private equity and other funds generate and is higher than management fees in the long term, Lee notes. “The founders became billionaires by generating performance for clients and performance fees for themselves,” he adds. Private equity firms will have to get out their tin fundraising cups for that. The boring business of insurance has its limits.